Masterchef Finalist becomes Bodycare Health Ambassador! Bodycare Health is proud to announce our latest Health Ambassador Sarah Todd! 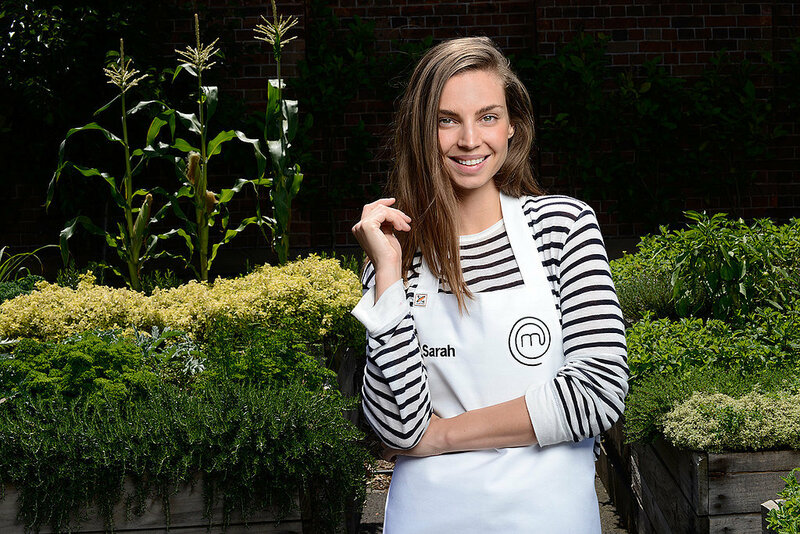 Sarah Todd stands for all things health, her love of food culture took her centre stage last year as a 2014 Masterchef Finalist. Beyond her TV début, Sarah has travelled he world as an international model but her real greatest achievement to date is being a loving mother to her son Phoenix. It doesn’t take long to be in Sarah’s presence to realise she’s got it all figured out, the young mum radiates health and her passion for food and culture is captivating. As a model Sarah admits she’s felt the pressures of the industry before, she gives credit to her passion in the kitchen keeping her grounded throughout her contracts. Sarah believes “The days of yo-yo dieting or sticking to unsustainable regimes are over, and in their place is a fresh perspective – not just on eating – but on living. I believe life is about enjoyment and fulfilment; neither of which can be achieved if you’re starving yourself of the good things.” The ambassador hopes to run health talks at the Barre, Yoga & Pilates studio this year to shed light on the importance of nutrition and we couldn’t be happier to have her. As we all know Melbourne is a foodies delight! Which comes to no surprise why Sarah calls it home, we sat down with the Ambassador to have her share her best tips on healthy eating and living! Celebrating food is one of life’s great joys and I like to partner nutrition and indulgence. It’s all in the art of balance: smart, fresh cooking blended with a clean attitude to life. It’s easier to maintain a well balanced life if you’re not putting yourself in a category. Great food doesn’t need to be flavourless. My daily meal plan is a culmination of years of adventures travelling the world as a model. I always cook a hearty breakfast. I truly believe breakfast is the most important meal and it sets you up for healthy habits throughout the day. I like to start the day with an omlette packed with vegetables: onion, garlic, zucchini, baby spinach and a little kick of chilli, served with toast. I have fallen in love with India, the colours, the culture, the people and their love and passion for food. Goa is my all-time favourite city and after being there twice in the last two months, I can say now that you will be seeing me there a lot more often. As a Mum, we want to establish healthy eating habits early and new Mums in particular need to look after themselves by fuelling their bodies with nutritious food packed full of flavour. Weeknight meals don’t have to be complicated. I find I’m smarter about food preparation and choosing quick, simple and nutritious weeknight meals means less stress at meal times. It’s all about balance. Completely restricting certain foods from your diet is almost impossible to maintain. Allow yourself to enjoy everything in moderation. Bone Broth – I make a big pot of bone broth, pour it into an ice cube tray and once set, pop them out into a container. It takes up less space and is always on hand to bump up the nutritional value of a meal as well as adding flavour. I use ghee for almost all of my cooking, olive oil which is perfect for salads and dressings and coconut oil for desserts. Vegemite and avocado on toast with a squeeze of fresh lemon. My all-time favourite weeknight meals are a simple bone broth or soup with loads of vegetables or an Indian curry. They’re quick, nutritious, one-pot wonders that hit the spot. I also really like to always have a cooked dinner over raw as I feel it digests so much easier. Pavlova topped with a myriad of fresh fruit. I like to go for a long walk. It clears my head after a long flight or day’s work and is an opportunity to explore the beautiful city. I like dining at restaurants that really focus on fresh produce. Lemons – it lifts almost every dish and intensifies the flavour. I also like a good quality sea salt. Banana, spinach, ½ avocado, egg white, oats – super simple yet it is filling, nutritious and perfectly balanced. A drizzle of maple syrup on my omelette, I know it sounds strange, but it really does make it taste incredible. Bone Broth – I use it as it is for a simple soup or as the base of most hot pots and soups; you are only limited by your imagination. This nutrition-rich superfood boosts your immune system, improves digestion and reduces inflammation. I always have a well-stocked pantry in which all ingredients are labelled in clear jars. This saves time locating ingredients which helps during preparation. In the chefs’ world it’s called ‘mise en place’. Translated this means ‘putting in place’ and it will make it quicker and easier to put dinner on the table. Buy seasonal produce; not only is it at its peak in flavour and nutritional value but it’s a lot cheaper. Buy cheaper proteins. A mussel hot pot is one of my all-time favourite dishes and it is a super cheap meal packed with loads of nutrients. I’m a local to South Melbourne Market, so this is where I buy most of my groceries. I’m not one to regularly eat at the quite extreme health food cafés and restaurants. I choose restaurants that I know are ethical, focus on fresh produce and simple techniques to retain nutrients, while at the same time creating ridiculously delicious food. My favourite is Saint Crispin. I recently stayed at The Royal Mail Hotel in Dunkeld Victoria. This restaurant was awarded 2 hats by the ‘Age Good Food Guide 2015’. Their Dining Room offers nature-based cuisine focusing on the highest quality locally-sourced produce. Every day, chefs harvest produce that inspires that day’s menu from their organic kitchen garden. Eggs from free-range hens are collected daily. We were taken on a tour of the kitchen garden and were impressed by the acres of organically-grown produce. The 11 course dinner was phenomenal. If you have any questions for Sarah, email: siobhanwend@bodycare.com.au & have them answered. If not, pop into the studio and you may run into Sarah yourself! Top reasons why New Years resolutions fail, and how to make yours stick.